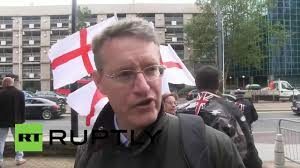 Without doubt the second is the younger and more radical James ‘Jez’ Bedford Turner, the founder of the London Forum, a distinguished assembly which has been addressed by some of the greatest nationalist thinkers and academic advocates of the White race of our time. No British nationalist leader ever has spoken with the bravery, candour and disregard for the personal consequences to his own safety and liberty than Jez. 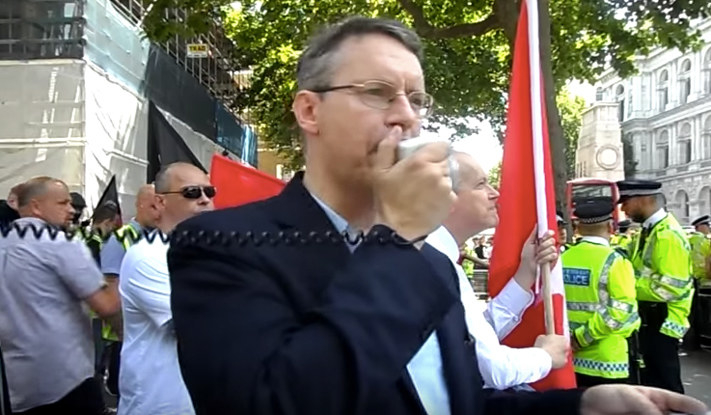 His rousing speeches have been shared and banned repeatedly across YouTube, and he has often been the leading voice at demonstrations against Jewish power in Britain. Turner’s humility in the cause is such that he does not present himself as a leader, and is only seen by the more perceptive as such. But a leader he is — a general in the making, a man who leads from the front and is ready to take the enemy full on without apology, reservation or fear of any kind. Despite the Crown Prosecution Service’s hesitation to put on trial an intellectual, a truth teller, an upstanding citizen, a patriot, and a man who was prepared to lay down his life for his country in war, they were forced by the extra-judicial demands of the Sanhedrin to do so, and this modern Cheka managed to squeeze out of a reluctant court one year’s imprisonment for “incitement to racial hatred,” a Talmudic verdict forced on the British legal system by that very group who is insistent in Britain that they are not a race but a religion. 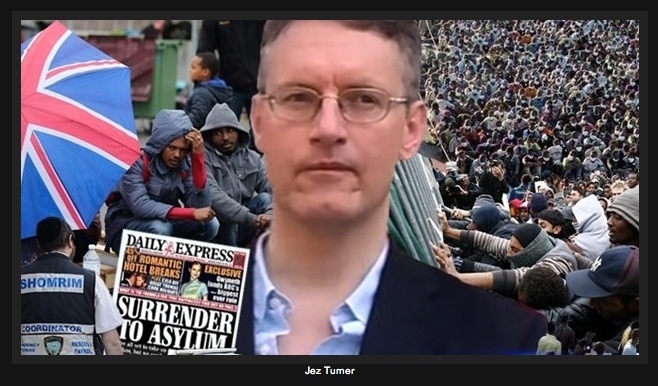 Jez Turner is a profound classical scholar who derives much from his education, something which, as one unschooled in that field, I am not fit to pay tribute to, nor explain here. But it is that grounding in the very roots of the thinking and philosophy of our civilisation, and of that group of tribes we call the White race, which gives him the intellectual strength of an oak and a parlance with the ancients which informs his message. The Coming Of The King Of The Britons by Simon of Kent.